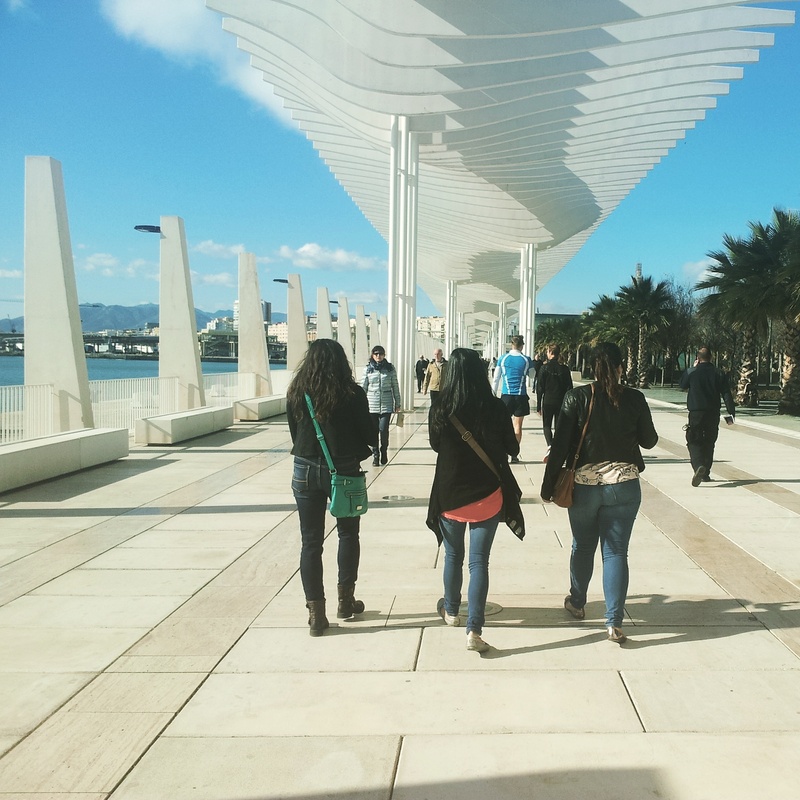 If you ever find yourself along the South coast of Spain, you might want to check out a city called Malaga. Enshrined in beauty and etched in history, it was once the birthplace of the famous Pablo Picasso, and is now home to me, drinking a beer every 10 days. Besides the regular things to do, like exploring the city, getting lost, taking architectural selfies, and drinking sangria, here are the hidden – or rather public – gems that I recommend visiting. 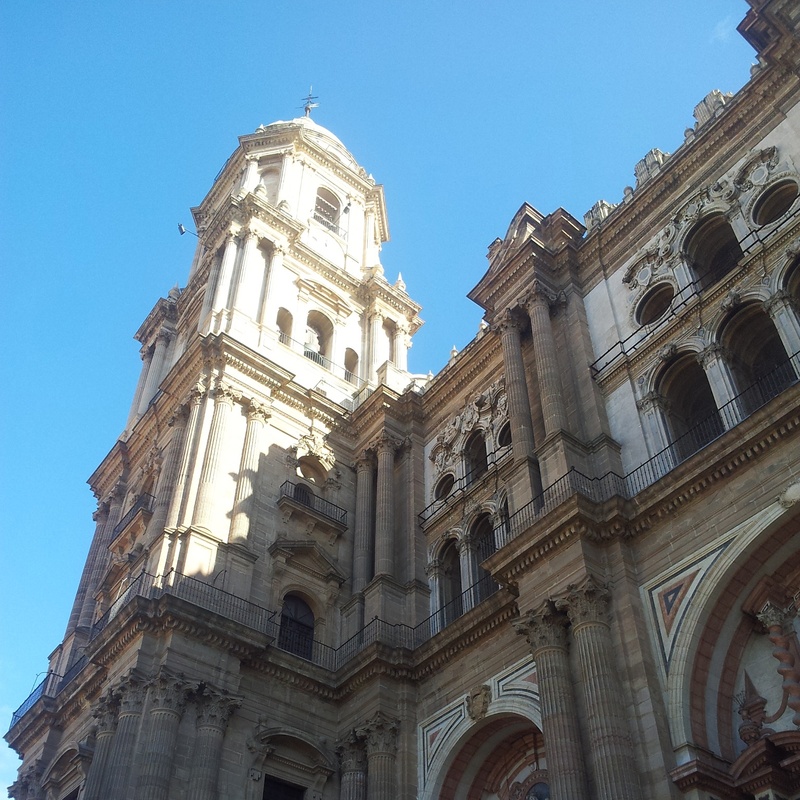 Dominating the Malaga skyline is our first notable place – the Malaga Cathedral. Open from 10 in the morning until 6PM, you can catch a glimpse at the soaring ceilings and intricate architecture. Make sure not to forget your camera. Located just outside the city centre, follow the street signs, and keep your eyes peeled for the tower – it’s tough to miss. If you’re keen to climb a big hill, I recommend the Castillo de Cibralfaro. East of the city centre, following the tourist signs you’ll find a road slowly climbing a mountain. After a 20 minute uphill hike, you’re treated to stunning views of the shoreline from a constructed platform. Climb a little higher and you’re able to check out an ancient castle – Castillo de Cibralfaro. With a small admission fee you can to explore the grounds, take beautiful photos, and climb along the sides of the castle. If you’ve only got time to do one thing in Malaga – I’d recommend this. 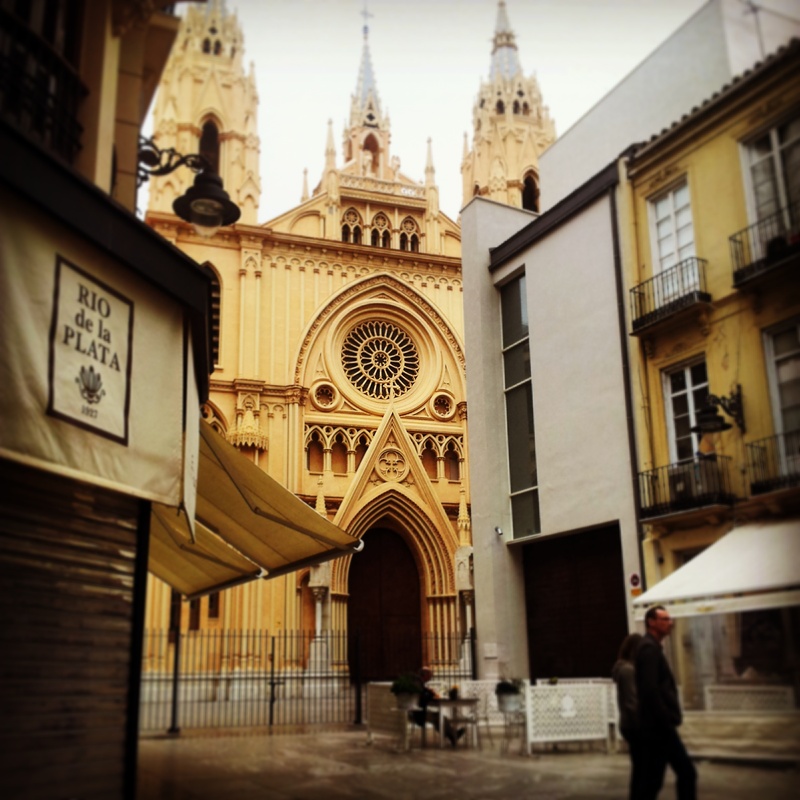 Retail therapy is needed by all now and again, and Malaga’s got you there too. Right in the city centre, or a little West, you’ll find stores for everything you need. Make sure you buy clothing with an extra size up – because you’ll for sure be eating well in Malaga’s restaurants for the next few days. Feeling like you need a bit of rest and relaxation? Time to hit the beach. Located east of the city centre, immediately east of the port, you can sip sangria in a seaside bar, play some ultimate frisbee with new-found friends, or just lounge in the sun. Don’t forget your sunscreen – you’re gonna be here all day. If you dock on a cruise ship, you’re in luck! You will get to walk through this bustling port every time you visit the city. While there is a bus that circumvents the 30 minute walk to the city centre – I wouldn’t recommend it. You can find artisans selling crafts, street stalls with hippie clothing, and a slough of restaurants where you can get a tasty bite to eat before getting back on board. For all the land-based travellers, you can get to the port by heading South at the cathedral, towards the water. Look for the open plaza, white-sailed walkway, and cruise ship crew anxious to get to a WiFi connection. The Market is located somewhere North of the Cathedral – where exactly, I’m not sure, since I always seem to find it by accident. 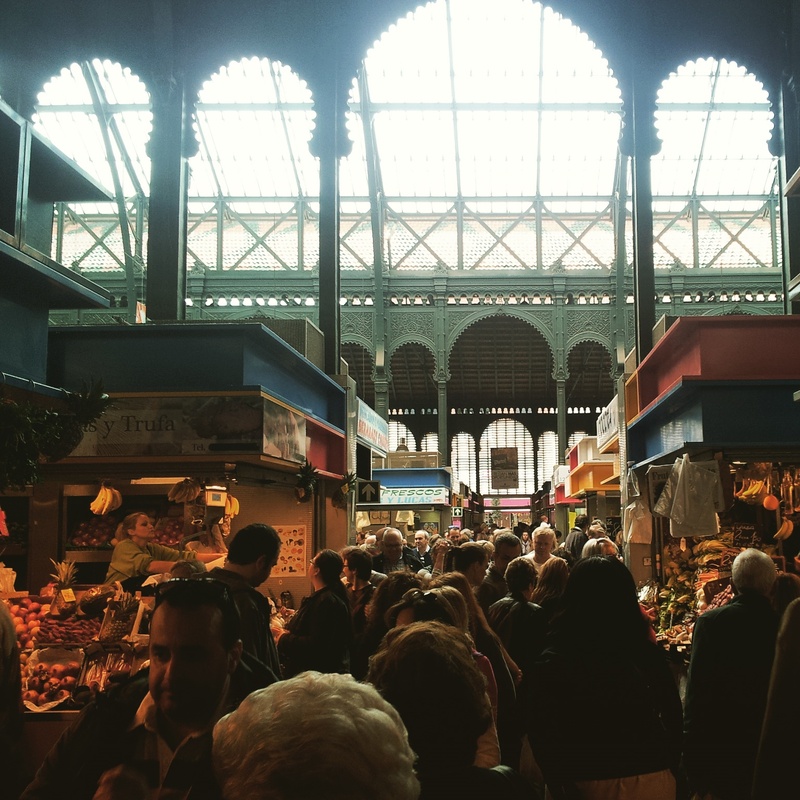 Follow the crowds and you’ll find fresh fruit, fish, and everything inbetween. Bring your backpack to stock up on strawberries bigger than your fists. If you’re one of the lucky people on a cruise ship though, eat them before you get back to the port because there’s no way they’ll be let back on board. Keeping an extensive collection donated by the late Picasso’s family, this museum dedicated to his work and life is not to be missed. A small admission fee and you’re able to view original works of art with an accompanying multi-lingual audio tour.